It is not the policy of the practice to accept urgent requests for repeat medication except in exceptional circumstances. It is important that you order repeat prescriptions before you run out of your regular medication. Requesting an "urgent" repeat prescription because you have run out of your medication is not an appropriate use of resources and may lead errors in prescribing. Prescriptions received before midday will be processed ready for collection after 2pm the following working day. Prescriptions received after midday will be ready for collection 48 hours later. Your Clinician will advise you if you require medication regularly and therefore will require regular prescriptions. Whilst it is advised that you should have regular check-ups it is not necessary to be seen every time you require a repeat prescription. Therefore your medication will be added as repeat on your medical records and you can request this from the practice without a doctor’s appointment. After your medication has been optimised, your doctor or advanced nurse practitioner will add your medication to a repeat list and give you a slip so you may order it through the Patient Services Team within the practice. They will add a review date and advise how often you should attend for routine check-ups with the practice nurse. If you have any medical problems you are free to make an appointment with a clinician at any time necessary. It is recommended that you order your medication at least a week in advance to avoid running out if there are any delays. To avoid errors we do not accept requests for repeat medication over the telephone. 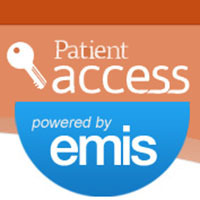 A request using the practice request slip can be left with the Patient Services Team. If received before 12 noon it will usually be available after 2pm the following day. Alternatively the request may be sent by fax, email or post (if using the post please allow extra time for possible postal delays). If you include a stamped addressed envelope then we will post your prescription to you unless it is a controlled drug. Medication may also be requested electronically online using Patient Access - this is the fastest and most efficient method of ordering your repeat medication. Please ask the Patient Services Team about this. The prescription will then be sent directly to your nominated pharmacy. Alternatively you may choose to request your medication via your chosen pharmacy, but please be aware this may take longer. Occasionally some patients request medication that is not on repeat. It should not be assumed that this will automatically be issued as it is at the doctor’s discretion on clinical grounds. Special request forms with area for reason for request are available at reception. It is important that you order repeat prescriptions before you run out of your regular medication. Requesting an "urgent" repeat prescription because you have run out of your medication is not an appropriate use of resources. Prescriptions received before midday will be processed ready for collection after 2pm the following working day. Prescriptions received after midday will be ready for collection 48 hours later. Telephone requests for repeat medication can not be accepted for safety reasons. Please note if your medication request is NOT on your repeat prescription your request will take longer to process and the doctor may ask for more information or wish to speak with you. Delays may also occur if your medication request is different from what your doctor has prescribed for you in the past. However we receive your request the aforementioned timescales are the same. If you wish to order your usual regular medication early for a holiday or other reason, please let us know at least a week beforehand, together with the reason for the early request.